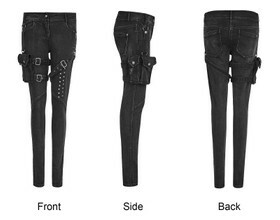 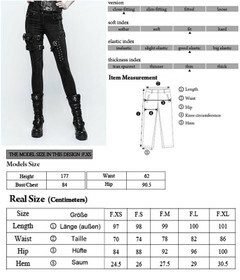 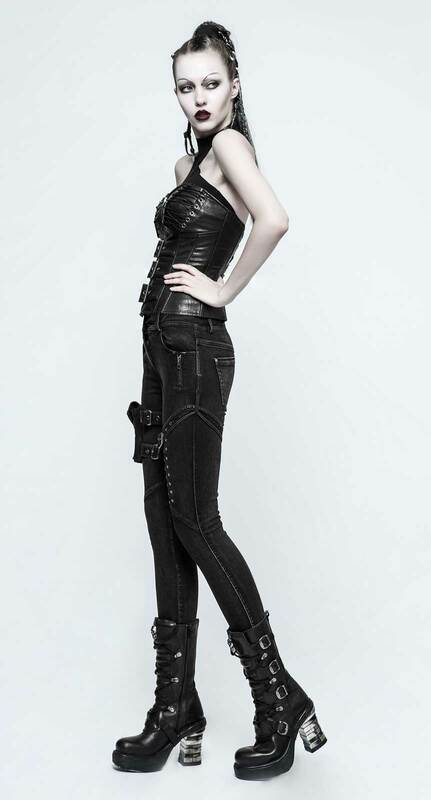 Stretch jeans for girls by Punk Rave. 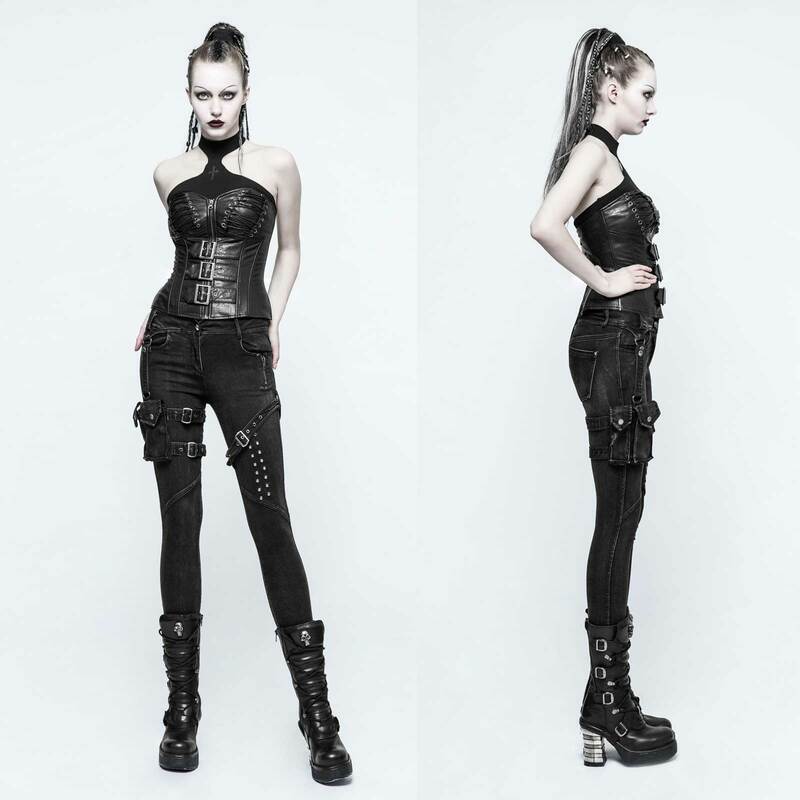 Black denim with viscose and elastics. 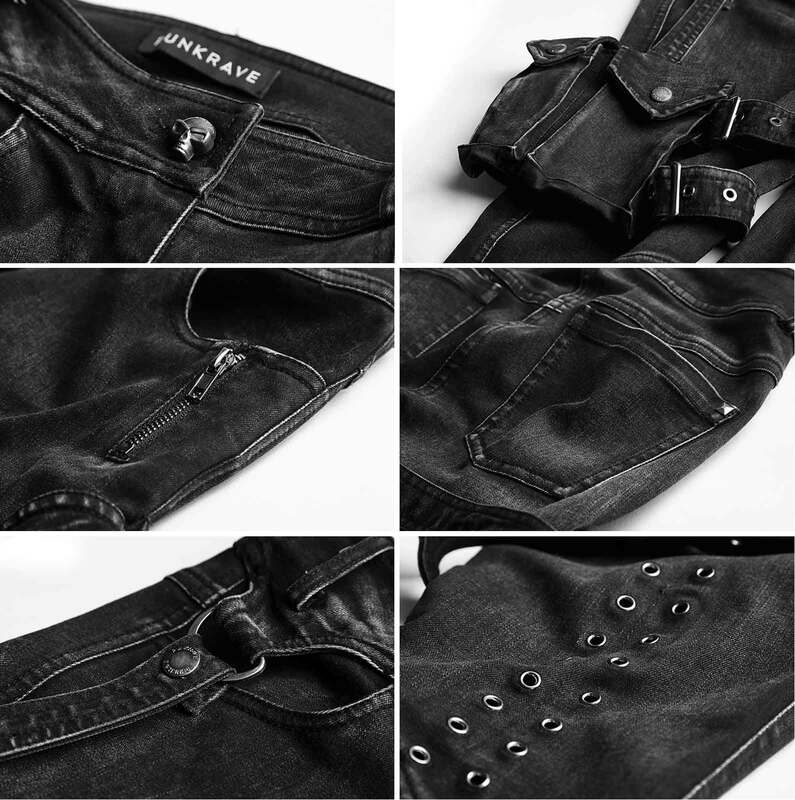 Lots of details: two detachable pockets, zips, rivets and straps. Stretch jeans for girls by Punk Rave. Anthracite-black denim with viscose and elastics. 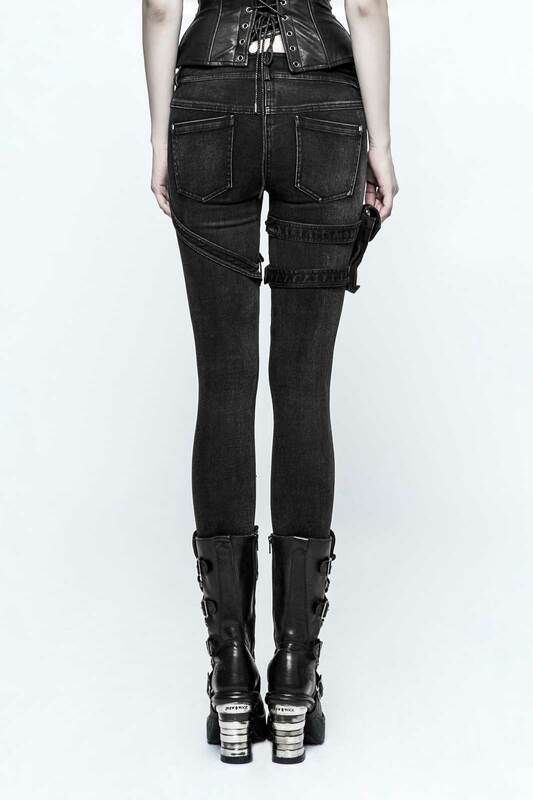 Lots of details make this skin tight pants to a real eyecatcher. Classic jeans cut with belt loops, zip-fly, two pockets front and back - plus two detachable pockets with straps at the right thigh; zip, rivets and further strap at the left leg.